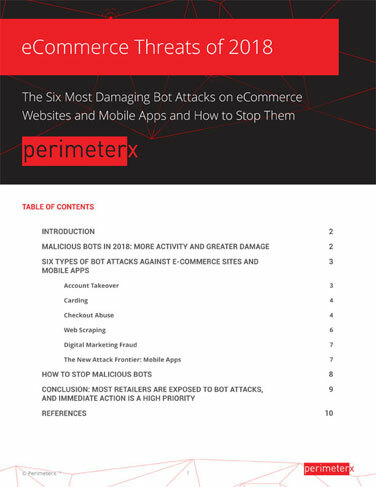 PerimeterX Bot Defender is a behavior-based platform to protect against all automated attacks to your website, mobile application and APIs. With advanced bots and curated lists of username and password combinations acquired from the dark web, attackers bypass your traditional security solutions to make purchases or transfer reward points. PerimeterX Bot Defender protects your business and customers, using a behavior-based approach to detect anomalies before criminals can break into your system. Bots rifle through lists of credit card accounts, testing them against a merchant’s payment processes to identify valid cards, which they use to obtain cash and goods, or resell on the dark web. PerimeterX Bot Defender distinguishes humans from bots and, with its easy integration into any CDN environment, stops all carding attempts in real-time. Many times faster than a human customer’s capability, malicious bots scoop up your limited-availability items such as consumer electronics or sneakers, preventing sales to your real customers. PerimeterX Bot Defender stops malicious bots as soon as they attempt to scan your site for item availability. It identifies anomalies in behavior, ensuring your legitimate customers are the only ones buying your bestsellers. By exhausting stock without purchasing it and preventing access to legitimate users, hoarder bots reduce your sales to real customers and impact your revenue. PerimeterX Bot Defender identifies whether your shopper is human or not, preventing hoarding while keeping items in the hands of your buyers. Competitors use advanced bots to crawl your site, undercut your prices and steal product and inventory data. PerimeterX Bot Defender helps you stop these practices, by analyzing how a normal customer behaves on your site and blocking malicious actors from scraping your pricing, product and inventory data. 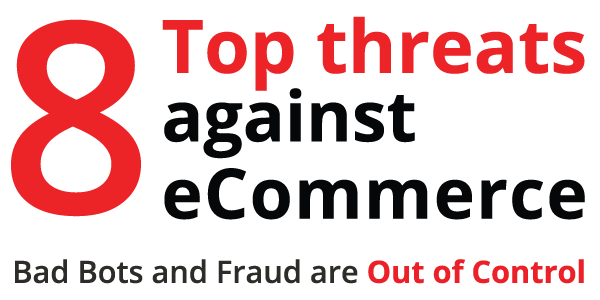 Digital fraud, whether click or affiliate fraud, is most often initiated from a large range of IP addresses via proxy networks or a network of infected browsers mimicking human behavior. PerimeterX Bot Defender uses behavioral analysis at the network, application and user level to detect and stop digital fraud with high accuracy. Automated attacks reduce the effectiveness of your analytics tools and inhibit your ability to gain meaningful insight for decision making. PerimeterX provides integration to analytics solutions such as Adobe Analytics to evaluate compromised campaigns and assets, while helping you exclude fraudulent non-human sessions for improved decision making. 1Gartner: Cool Vendors in Transforming Multichannel to Unified Retail Commerce, 2017, Joanne Joliet, Miriam Burt, Kelsie Marian, 11 May 2017. The Gartner Cool Vendor Logo is a trademark and service mark of Gartner, Inc., and/or its affiliates, and is used herein with permission. All rights reserved. Gartner does not endorse any vendor, product or service depicted in its research publications, and does not advise technology users to select only those vendors with the highest ratings or other designation. Gartner research publications consist of the opinions of Gartner's research organization and should not be construed as statements of fact. Gartner disclaims all warranties, expressed or implied, with respect to this research, including any warranties of merchantability or fitness for a particular purpose.